Ready for Football Sunday! 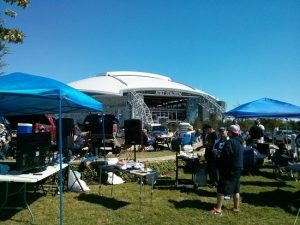 Pack your coolers and BBQ equipment and book a Dallas Tailgating Limousine Rental Services Transportation to the next Dallas Cowboys Football Game. With so many vehicles to choose from, there is something for every group size. 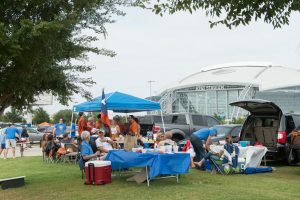 Whether your joining in on the Tailgate fun or just want to travel to the game in luxury, a Limo is a very popular choice for up to 10 passengers. Have a few drinks and enjoy the game! A Party Bus is perfect for Tailgating events. Large enough for most group sizes, large speakers for music and listening to the game. Pack your coolers and BBQ and get the party started. Meeting up at a Tailgate Event? Don't worry about parking and picking a designated driver. Luxury Sedans fit up to 3 people and we will take care of everything for you. Affordable transportation options available for up to 14 passengers in a Mercedes Sprinter Van for all your Tailgating Transportation needs. When a Party Bus is just not your style, try a Shuttle Bus starting at 20 passengers and up to get your whole group to and from the tailgate and game safely. Charter all guests up to 56 passengers in a Charter Bus with enough storage space so you can bring everything to host your own Tailgating Party!